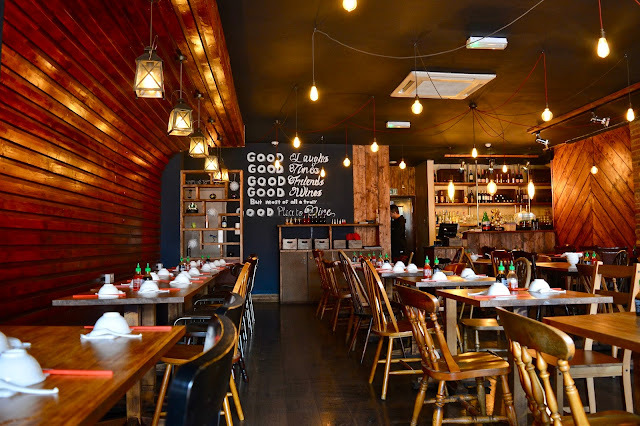 I'm back with another restaurant review, last year my boyfriend and I found ourselves relying on my good friends - Jess and James - blog to decide where to eat. Gone are the days where we'd spend hours debating -"I don't know, it's up to you" or "I don't mind". We're always up for trying new food. 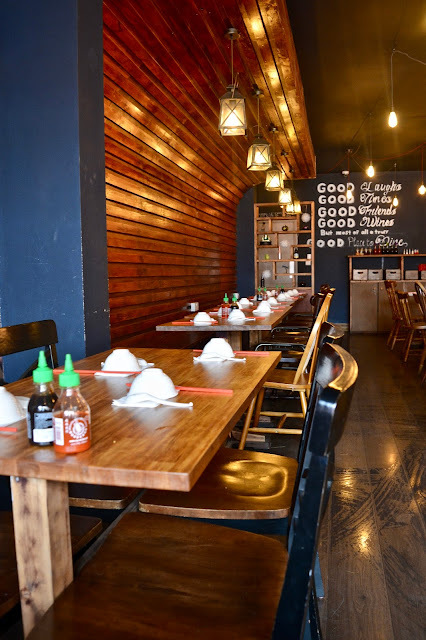 This time we were interested in trying out a Vietnamese restaurant. 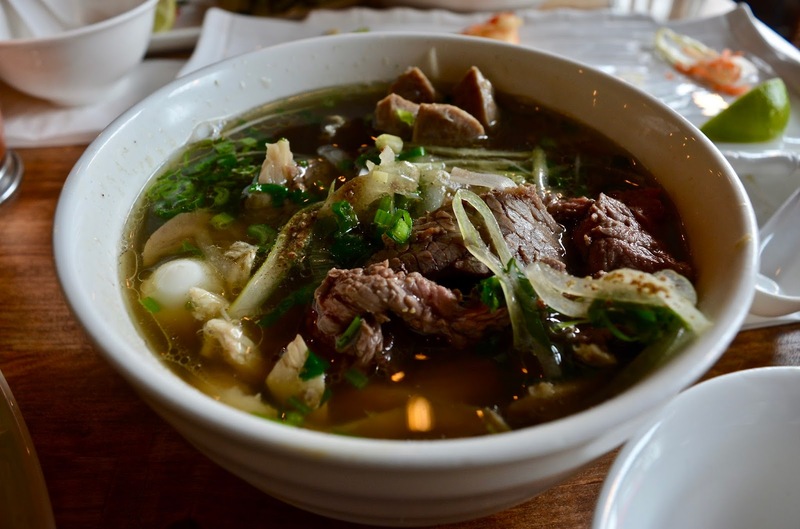 Vietnamese cuisines are known for their delicious 'pho', we've only ever had it home-made. That was enough to convince us to try out one of the many Vietnamese restaurants in Hoxton. 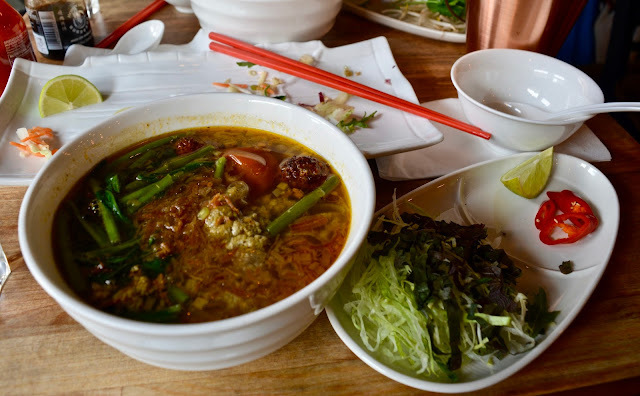 Along Kingsland Road, you'll find at least five vietnamese restaurants within 30 seconds. So it was a little overwhelming on which one to choose. I have to admit, my decision was based on 'judging a book by its cover'. In this instance, it was actually a good thing. Fortunately, we were one of the first to arrive (all the restaurants along this road's opening times on a Saturday was 12pm) so we got to choose where to sit. I was overly impressed by the interior, it was quirky but modern. I have to say, my favourite part was the drawing of the Pho (above) adorable yet fitting. "Good laughs, good wines, good friends, good times. But most of all a truly good place to dine"
Normally, we don't order starters since we know that we're going to end up partly full by the time we get our mains. 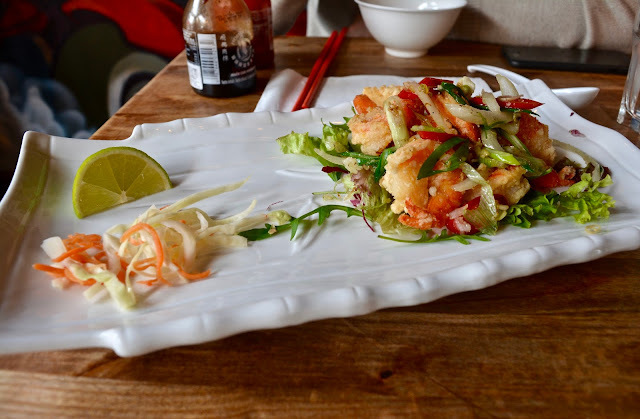 We couldn't resist but ordering the crispy salt and chilli prawns! Although it was delicious, I don't think it justified how much it was - £8.50. I did expect to get a little bit more than what was given to us. Nevertheless, it was perhaps unrealistic of me to assume that prawn would be cheaper than £5. 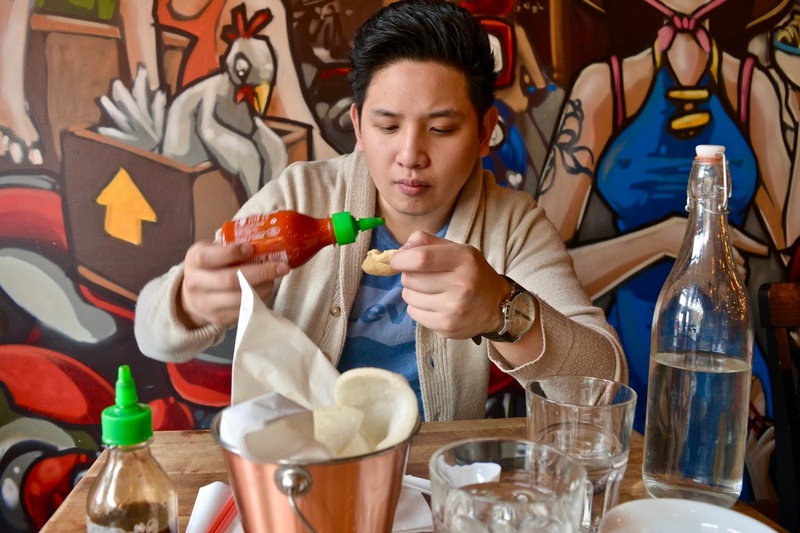 Eric opted for the Pho House Special which contains 'beef brisket, beef balls, chicken, rare beef and egg'; arguably a classic. After having a taste of my banh da cua, he preferred my dish. If you're trying Pho for the first time, I would advise to choose this dish. It's basic (as I mentioned, classic) yet tasty! ALSO, with the amount of vegetables you're getting in your dish, it's healthy. We were both incredibly pleased with the food, customer service and environment. We'd definitely recommend and hope to return again soon. 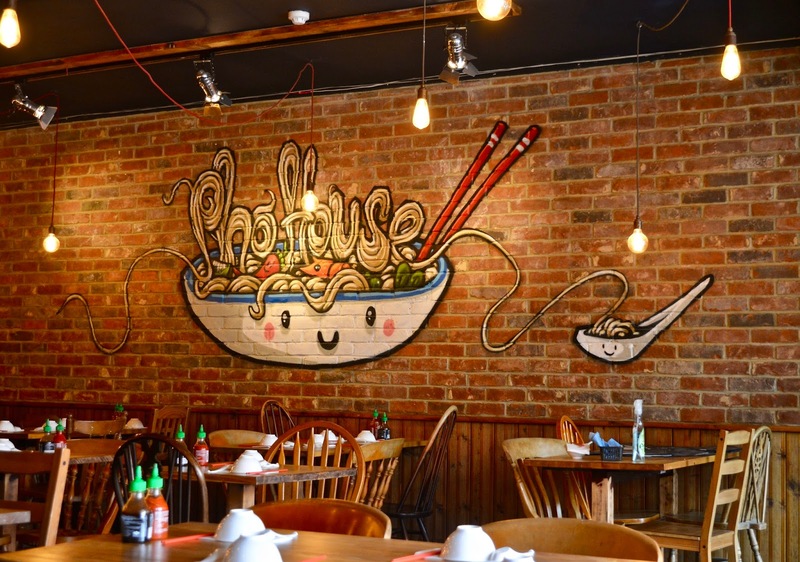 Check out the Pho House - they have a restaurant in Hoxton and Highbury. Awww what a babe mentioning us! Thank you! This looks so pretty and the food sounds and looks so so good! 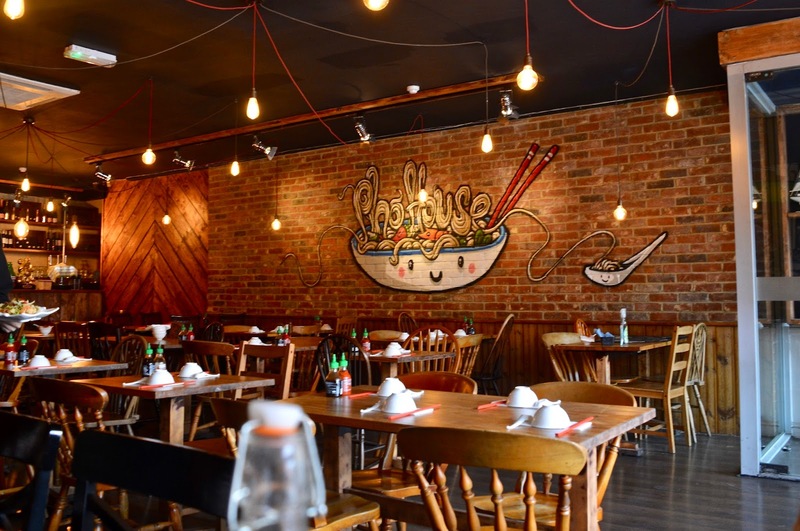 We'll Defo give this place a try, or we could always double date there soon pls!